Théatre Lapis premiered on the New York stage in spring 2012 with its production of the musical Ordinary Days. Our aim at Théatre Lapis is to question traditional boundaries including those that exist between musical and straight plays, between western and eastern cultures, and to seek other frontiers..
Yojiro, a graduate of MA Directing in Musical Theatre in Arts Educational Schools London, worked with the Shiki Theatre Company in his native Japan where he directed, assisted and translated numerous productions including “Once on This Island,” “Songs for A New World” and the Japanese premiere of Tony award winning musical “Spring Awakening”. In 2010 he won a fellowship with the prestigious Overseas Study Programme for Artists that offered him the opportunity to learn about theatres both in London and NY a year each. 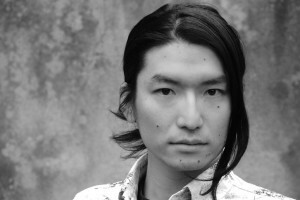 In the UK Yojiro participated in projects and workshops at The National Theatre, Young Vic, Complicite, Drama Centre London and Arts Ed.His work in the US included fellowships at the New York Theatre Workshop and The Play Co. and participation in the Lincoln Center Directors Lab in 2012 and 2013. He recently directed “Tell Me On A Sunday” at the New National Theatre Tokyo, which won a prestige drama award in Japan, and “The Red Candle – Mermaids in the East” which premiered at the Grand Entrance Hall of Brunel Museum and got 5 star reviews. There was also a special performance for Prince Edward, Earl of Wessex. Additionally, he has collaborated with many international artists including David Leveaux (“Eternal Chikamatsu”), Harold Prince, Susan Stroman(“Prince of Broadway”) and Thom Southerland(“TITANIC” and “Grand Hotel”). Yojiro’s aim is to bridge many borders including those between musical, physical and straight theatres, western and eastern cultures, and other contexts where our differences might enhance our creative expressions. He is the artistic director of Théatre Lapis, and all of his activities can be found at theatrelapis.org, Facebook and twitter. JP: Tell Me On A Sunday (The New National Theatre), Songs For A New World (Mitaka Public Theatre), Once On This Island (Komaba Space Theatre).